A first-of-its-kind eastbound transit line has secured a massive infusion of federal dollars. 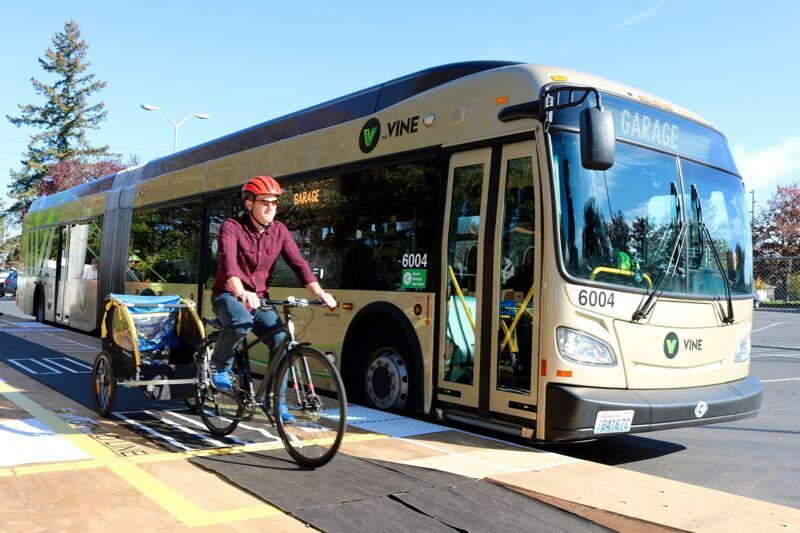 The U.S. Department of Transportation announced Tuesday, April 9, a grant of $87.4 million for capital improvements costs for TriMet's planned bus rapid transit project on Division Street. The funding is contingent on the signing of a construction grant agreement. In a statement, a spokeswoman for TriMet says the agency is "thrilled" by the news. "We thank the Federal Transit Administration and our congressional delegates for their continued support of transit as we work to connect people to opportunities (in) the region," according to the statement. The 15-mile route linking Portland's central business district and Gresham is expected to bring 60-foot-long articulated buses to the area by 2022 at the soonest. The plans don't included bus-only traffic lanes — but TriMet still believes that the extra roomy buses and multi-door boarding options will reduce travel times for riders by up to 20 percent. "These significant investments will strengthen our country's transit infrastructure and improve mobility for those who depend upon public transit every day," said U.S. Transportation Secretary Elaine L. Chao, in a statement announcing the new funding, which flows to 16 projects across the U.S. at a total cost of $1.36 billion. The Division Street transit line will stretch from Southwest Portland to the Cleveland Avenue MAX stop in Gresham. Plans for a terminus at Mt. Hood Community College were dropped in 2016 by the steering committe guiding the project. In October of last year, planners unveiled the special elevated platforms that will likely be built in 30 locations along the line. The total cost of the Division Street project is pegged at $175 million.